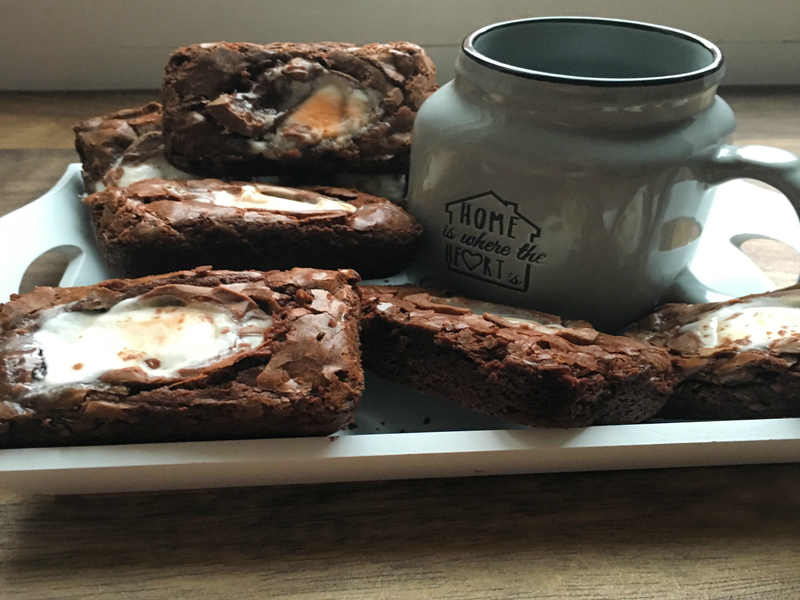 These yummy creme egg brownies have been popping up all over my Pinterest feed at the moment and I just couldn't wait to get started with making them myself. 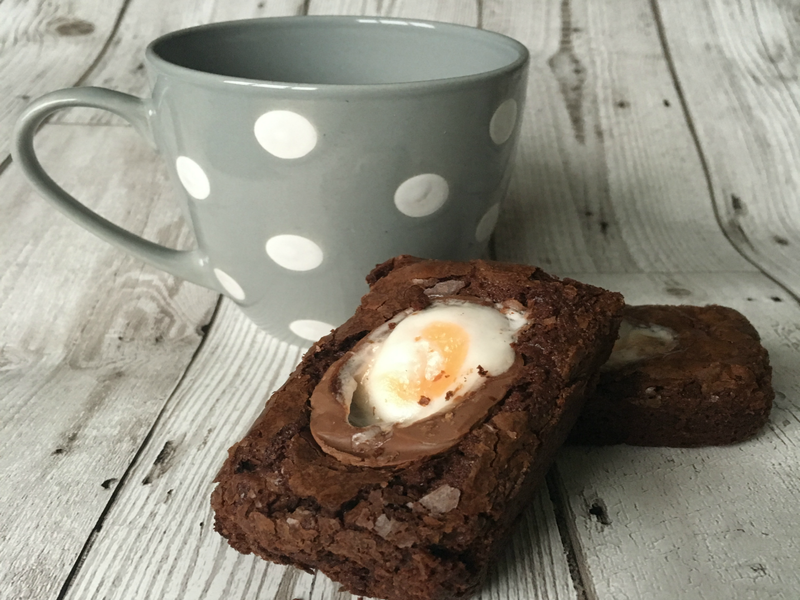 I used a brownie tin that I purchased from Asda, to make them, and they turned out really well. The ingredients and instructions are below. 1. Pre heat your oven to 180 degrees or gas mark 4. 2. Melt the chocolate and the butter in a bowl over a pan of boiling water. 3. Leave this mixture to cool until luke warm. 4. While waiting for this to cool, whisk the eggs and sugar together. The mixture should look fluffy and pale in colour. 5. 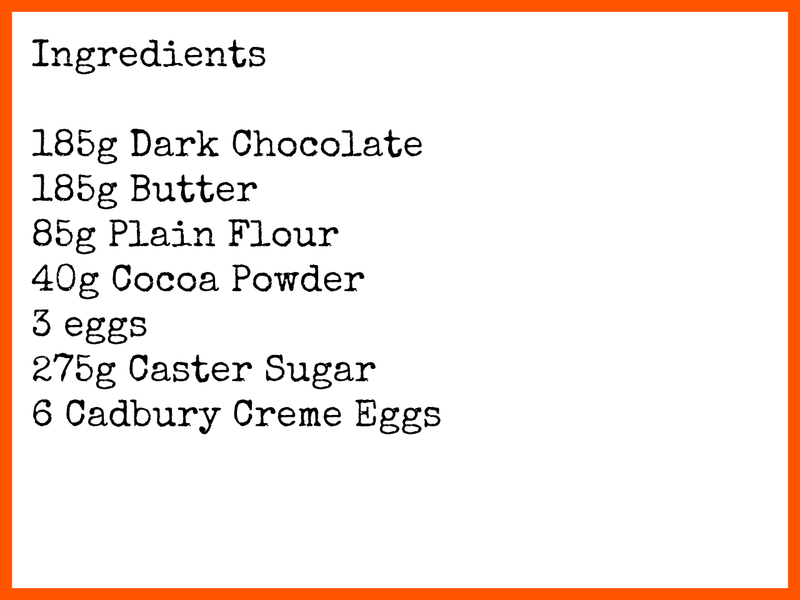 Once the chocolate and butter mixture is luke warm, add the egg and sugar mixture to it. 6. Sift in the flour and the cocoa powder and mix it all together. 7. Put the mixture into your brownie tin and place in the oven for about 20 minutes. 8. You now need to tackle the task of cutting your crème eggs in half. Don't worry, if they aren't that neat and watch your fingers! 9. After 20 minutes, remove them from the oven and press half of one egg in each part. 10. Return them to the oven and cook for a further 10 - 15 minutes, or until cooked through. These took me about 1 hour to make in total, but it was definitely worth the wait. They taste great. I am now considering substitutes I could use for the crème eggs. Mini eggs would be nice and I have seen those cute little Malteaster Bunnies being used too. Hello Archie for #MarvellousMondays here. They taste really good. I know what you mean about about being obsessed with creme eggs too - they are addictive.